It’s impossible to think of Italian food without a warm plate of pasta and some Great wine. 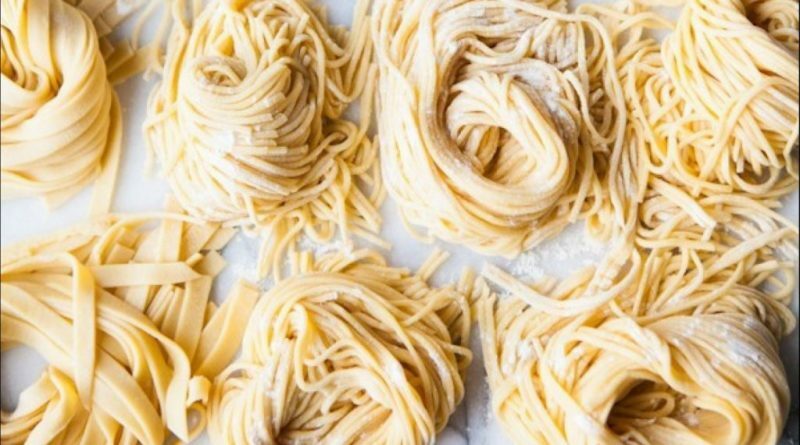 Made with flour, pasta can be formed into sheets, strips or any other shape. In fact, you’ll find over 600 pasta shapes across the globe. A delicious plate of pasta can come to your rescue on those super busy weeknights. It’s a fact that it is one of the most popular comfort foods. Just bring in your favorites, simmer the sauce, sprinkle some cheese and you’re sorted! Pasta dishes are an easy way to please even the most finicky eaters. The varieties are endless. What is a pasta meal? Pasta is a major dish in Italian cuisine, with its first mention dating back to 1154 in Sicily. Pasta meals are recognized by physicians and nutrition scientists as healthy, because its centerpiece – pasta – is a slowly digested carbohydrate. Pasta is accompanied by tangy sauces and nutritious foods like olive oil, tomatoes, cheese, fish, vegetables, clams, shrimp, beans and meat, that serve as partners on the plate or in a bowl. Pasta comes in different textures and shapes and so it needs to be cooked or boiled differently. Angel hair, Farfalle, Fusilli, Penne, Ravioli, Macaroni, shells, Spaghetti – these are the different types of pastas. You can also make pasta easily at home with a tool like Wannapasta pasta machines. Fresh pasta made at home is an enjoyable dish to make and present several creative options. It will guarantee not simply scrumptious meals, but also a fulfilling time in the kitchen. You will spend less time getting your pasta dishes ready with the machine and they are going to be extra scrumptious too. Pasta proves to be a healthy option when basic ingredients are swapped with nutritive ones. It depends on the way the pasta is made and served. It is a good source of carbohydrates and proteins. Pasta when combined with nutrient-dense food partners such as fiber-filled vegetables and beans proves to be a perfect foundation for healthy, nutritious and satisfying meal. Such meals needn’t be guilty pleasures. Pasta is an exciting meal in times of celebration and a bonding meal when friends come together around the table, at home or in restaurants. Whether served in a simple way or grandly, pasta makes a wonderful food!